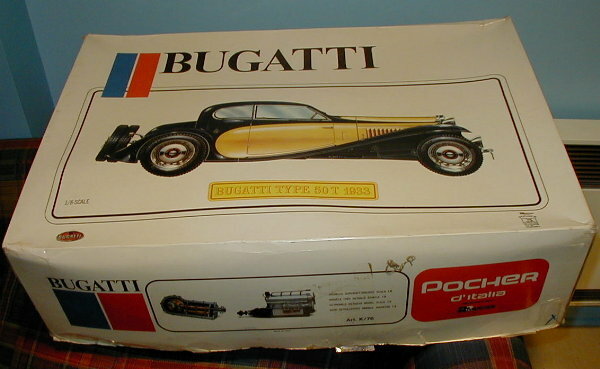 Pocher K76 1933 Bugatti Type 50T 1/8 scale model car kit! There are two versions of this kit. In the original version, showing a drawing of the model on a white box, includes brass parts to build a working differential. In the second edition, showing a picture of the model on a black background, Pocher removed the internal parts of the differential. All other parts are the same in both editions. Please ask for details of the kits we have in stock as we continuously buy and sell this model.